You simply have to experience this when you visit. Why? Well… you just do. 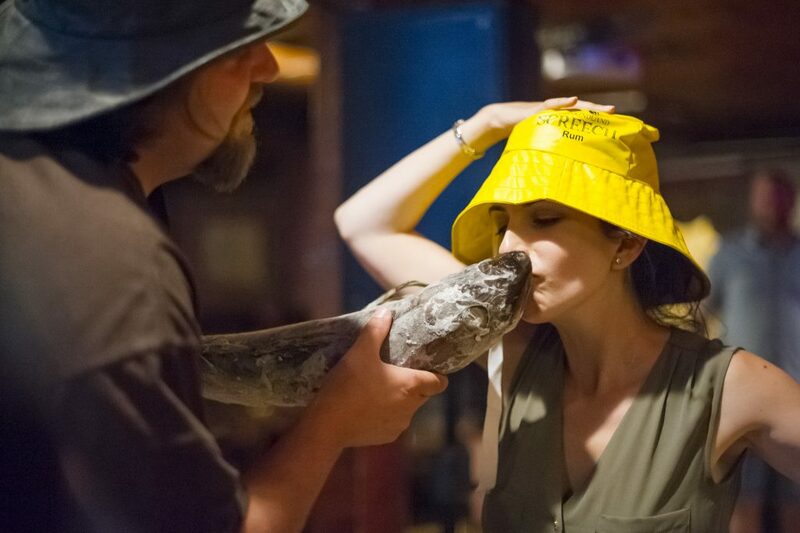 Be it kissing the Blarney Stone in Ireland, or kissing a cod during a Newfoundland, Canada screech-in, some activities seem mandatory when visiting certain destinations. When you really think about it, why you must do them is a lot less clear, with the common answer being, “It’s just what you do.” These rituals are inseparable from the experience. For destinations and tourism operators, rituals are among the important tools (including landmarks, infrastructure and mementos) that can help create a socialgenic experience, an experience that causes a social exchange or word of mouth through sharing. Rituals often occur in conjunction with other experience elements. For example, the enormous old Blarney Stone is a solid landmark, while kissing the Stone is a ritual. Rituals help cement the experience in the visitor’s memory through action. It’s something they do while they visit. Their traditional and interactive nature helps guests feel that they are part of something bigger. Zipline tower at Empower Adventures. Image credit: @ashlicora, Twitter. Empower Adventures (E.A.) 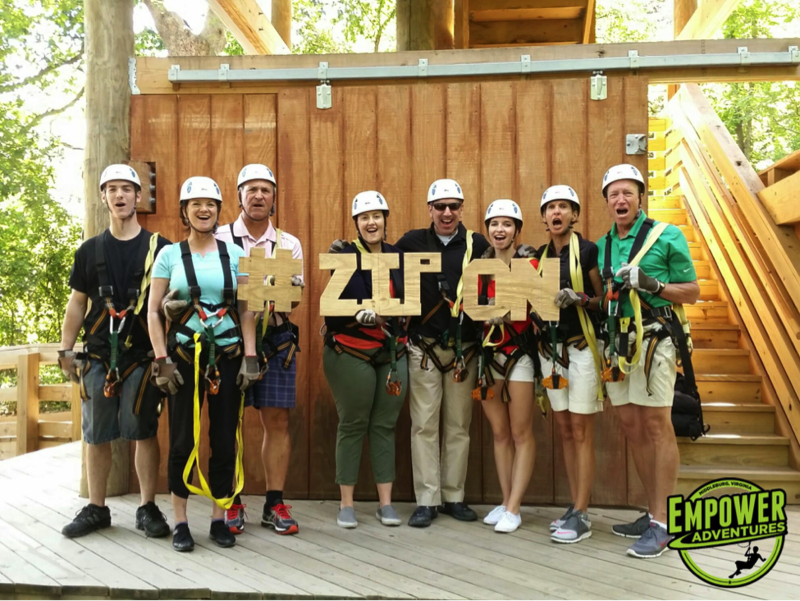 is an outdoor zipline attraction located in Middleburg, Virginia. E.A. participated in a Destination Think! Xcelerator™ session, which is a digital communication and experience design bootcamp for tourism operators. During the program, E.A. explored how their already remarkable experience could be made more memorable by design. The signature experience at E.A. 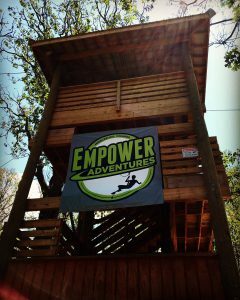 is the final zipline from the 40-foot-high Empower Tower. For many, this leap of faith is a memory of a lifetime. E.A. is in the process of adding a tower ritual that will benefit the business and their customers. Once guests are safely off the zipline, they will be given two zipper tags as mementos. They’ll sign their name on the first tag and pin it to the base of the Empower Tower, which will add to the ever-evolving landmark and show that they are part of something bigger. From that day forward their name tag will hang alongside the hundreds of others belonging to those who took the plunge. The second zipper tag belongs to the guest to take home and show-off, which will encourage word of mouth for the business. Want to get rituals right? Consider these additional factors. Group images of happy customers are golden for your social media marketing and for social proof on your website – try it and see! Help your guests become your best marketers by making a group picture a key part of your ritual. Don’t forget to bake in your branding wherever it makes sense. Destination Marketing is changing fast. It’s time to change faster. Hundreds of tourism businesses have experienced the effectiveness of Destination Think!’s Xcelerator™ training programs. The Xcelerator™ methodology transforms destinations with industry education and action. With a focus on tactics that boost the bottom line, participating businesses gain confidence and competence in experience design, digital marketing and social media. To learn how you can invest your industry training budget in a program proven to help industry operators act and excel, add a comment below or get in touch by email. With these elements in place, rituals will help make your guest experience more memorable, more enjoyable and help your destination and its operators gain valuable word-of-mouth promotion. Destination Think! has helped hundreds of operators transform their businesses from traditional to shareable by design. To learn how to turn your destination’s visitors into your best marketers, contact us today.